on February 23, 2011 at 8:52 AM | Reply Don Brown, D.Ed. I had the same experience about 6 months ago talking to a student representative council for a local school district. These students had very little in the way of skills and interest in gaming or sims, and did not seem to be involved in Web 2.0 very much. They didn’t seem to know that colleges have a lot of material and work online in different learning management systems. What alarmed me the most is that they had no idea about the jobs available in technology. Their notions about jobs, formed by the adults around them, sounded the same as what I heard in high school in the late 1970s. These students will have a lot of catching up to do to be competitive in the tech industry as adults. Thanks for the comment. I have found that many graduating students believe universities are unchanged from when their parents went to university. At least in some of the limited connections I have had with our local colleges and universities, they are going through the same changes as secondary schools and many have embraced new technologies to a much greater degree that we have in K-12. I agree about the homework issue. Homework is not the vehicle for teaching content, that is my job! Oft times, homework seems to only suceed in turning off students from learning, especially those for whom learning does not come easily. The acquisition of knowledge should be exciting and joyful, not mundane and anxiety inducing. I would love to see a serious discussion about homework take place in this district. I think it is time for a policy change and a pedagogical shift in our thinking. I think the issue of homework is one that needs to be on the table for serious, thoughtful discussion. There is so much research coming out which questions what we have used for homework and the benefits of this work, we need to have discussions around the what and the why or work that extends outside of school. It is part of the larger assessment discussion that is going on and one that can’t happen fast enough for many of our students. Excellent blog, the first one I have ever subscribed to. Not sure if you recall but you were the first Principal to hire me back at Riverside. When the students recalled what they did in grade 6 I asked myself what I recalled from University 6 years ago. If you asked me today what I recall from university I would tell you stories about the friendships that were made, the instructors who made an impact and some great stories that started at Koerners pub. If you would have asked me what I thought of University when I was still attending UBC it would be comments about stress over finding a job, the incredible financial cost of school and successfully completing my practicum. When the students you talked to look back on their grade 12 year in 6 years what will they recall? I am sure for the majority it will be memories of ‘The good old days” and not the stress and worries. It sounds like we might be “pushing” social media on our secondary students. The vast majority of high school students see you tube/facebook etc. as entertainment not as learning tools. Thanks Mike – it is great to connect with you. I do think we always look back at the “simpler times” of our life and idealize our past – no doubt these students will do this about grade 12 in six years. As for social media, my takeaway was that we needed to do more to show students the power of social media beyond just a tool of communication – the abilility to connect and build networks is something that students need but haven’t really found yet in the digital world. I think we also need to help students connect beyond their “friends” to a larger learning network – the internet can be the new country club for many students – a place to make the connections that can help them build a community and land “the right job” when the time comes. Terrific topic Chris… yet another Riverside person. After reading your post Chris all I could think of was our school’s first 10 year reunion a few years ago. Most alumni I spoke with said little about the subject I taught them but focused instead on how much they loved being around each other and about the staff that they connected with. I believe that school is a social experience, a common experience, and if the environment is just right, a learning experience. Certainly the Class of 1998 highlighted in my mind the real world impracticableness of WHAT I taught – and made me more fully appreciate WHO I taught. Thanks Mark. It is all about the experiences. I find that is true as a teacher as well. I don’t remember the content of my classes but I do remember the experiences – the field trips, the students, the funny situations. I really resonate with your thoughts and have experienced a very similar sentiment within the students I teach – even though they are at the opposite socio-economic spectrum. – My students were very ambivalent about their educational experiences – on one hand they seemed content, on the other they were clearly unhappy (but they couldn’t really articulate why). They want change but have no clue what this would look like. – They seemed to have a learned drudgery regarding school and learning. There was an expectation that school by definition is somewhat dull and uninteresting. They had a tough time expressing how school could change in part I think because they have experienced a very traditional, conventional style of learning. I resonate with your comment about how students are so familiar with the system that to change it would be intimidating when they work so hard to learn and stay within it. Even as a teacher, I often find it difficult to think outside the system I grew up in and know so well! Slowly, and by collaborating with other educators, I’m beginning to challenge the pedagogical paradigms I’ve held to be true for much of my educational career. Your thoughts continue to challenge me and push me to extend my thinking! Thanks for the comment. It is a great challenge that many of asked tasked with rethinking the system (the current teachers) are often products of a system that we were very successful in and find it hard to not want to replicate our experience for future generations. While I am interested in those that suggest a revolution in learning will be coming – I often wonder who will lead it? If there was great discontent from students and parents we would have a revolution – but we don’t see this. We absolutely need to evolve our system, those of us close to it recognize that our system needs to change to remain relevant and to engage learners, but we have not reached a point yet where this urgency that some of us feel for change has become widespread – so maybe we are bound for incremental change. I think you’re right about the parents – many are satisfied with the status quo, and of those who aren’t, it’s because they want a return to what they did in school (or think they did). Because many do not understand what we are doing with strategies such as AFL and gradual release of responsibility, they are uncertain and fearful of what kind of education their children are receiving. Also, many are not aware of the possibilities for careers today – at least many in small communities outside the lower mainland. I don’t think it is limited to small communities. There is definitely something reassuring, in a very uncertain world, when schooling looks similar to how we experienced it when we went to school. Of course, it is all this change and uncertainty which is driving the need for school to look different. The change is not just about changing teaching, or working with students – but it invovles all the players – students, teachers, parents and community. It’s interesting to hear you talk about the need to “evolve our system” along with the idea of revolution – in many ways these ideas are diametrically opposed to each other. However, I think there might be value in thinking about educational change in this way. I think the revolution may be a dramatic philosophical shift of how and what we perceive education to be. If this is the case, I think the revolution is already taking place – more and more teachers I talk to are increasingly discontent with our system of education and are, in varying degrees, looking for change. If enough momentum is gained perhaps we stand a chance to critically change our approach to learning and teaching. If this change occurs, the evolution of our system would start – building new foundations and new communities of learning. You ask who will lead this revolution? I think the answer is clear – you are. And I would like to hope that I am. And perhaps the people who follow this blog and the thousands of others who have joined in this conversation in different ways will join in. I am convinced that if we are to see systemic change within our schools it will start at the ground level with individual teachers and administrators – one classroom and school at a time. I continue to waver on whether we are looking for / needing incremental change that leads to big changes over time or if we need a massive change in our system. I agree that there is a grass roots movement taking place with educators around the world in very different roles that are leading the change. A bit depressing? I found your post totally depressing. It feels like the energy and creativity has been sucked out of these kids. Instead of a passion for learning these kids have learnt a “system” to attain high marks. After 12 years of education they seem so numb. I think W.B. Yeats would agree we haven’t “..lit a fire..” in them. OK – now I am depressed reading your analysis 🙂 It is a question that I often think about – seeing the energy and creativity of our younger students and wondering how we sustain this for students who begin to see school as a means to university. I had a discussion on exactly this earlier this week. After having struggled through a morning of trying to motivate intermediate students to read and trying hard to “light the fire” so to speak, I dropped by the Grade 1 class and was bombarded with students bursting with excitement over the books they got to read. General consensus seems to be that somewhere around the end of Grade 4 this “spark” starts to diminish and school becomes a chore. Is it something about the intermediate program that changes, the added expectations? the letter grades? We seemed to have taught students how to “do school” quite well. I encountered this at the university level as well. I went to University, after staying home with my kids, and graduated along with my oldest daughter. After my first year she said “You’re not one of those mature students who ask questions at the end of class, are you?” Of course I was. I have tried to engage my students in learning, not doing school. My success: limited at times. How do we help them begin to take risks, spend time reading, writing, and learning when there might not be a mark at the end of every class? Ms. Miller, my mom went back to school when I was in Grade 1 and finished her Bachelor of Education. Her first year teaching was when I was in Grade 7. I had to laugh when I read that quote from your daughter. That is exactly the question I asked my mom when years later I took my first course at college. I remember thinking, “Oh god, I hope my mom wasn’t one of THOSE”. While the rest of the class just wanted to “get on with it and get out of there”, those mature students were engaged in the material and trying to find ways to connect. It took me a few courses and a year of traveling before I understood and appreciated those students. One difference between us as students was that when my mom went back to school in her thirties, she had a husband and two young kids at home, a part-time job, and a mortgage. She had a lot more on the line that I did at 18 with little sense of where I wanted to go career-wise. She had clear direction and she had people relying on her and her success. I have been thinking a lot about the students in my class and which ones seem engaged in the material and put the extra effort in and see the most success. These students are also the one who have clear goals for their futures. I know that I myself didn’t really put in the time and work to my full potential until I had a clear direction for where I was heading. As a school, we are involved in a student achievement project as well as an assessment and we are approaching the goal setting stage. Our facilitator recently asked us to “think big” when setting these goals. I think am going to spend some time in my class this week exploring goals and seeing if I can get my students to dream big and outside of the box and showing them how I, the teacher can help them take steps towards these goals. While taking part in a focus group recently I shared with the group the fact that I don’t remember much content from any of my school years, but I remember which teachers I liked and why, friends and team-mates, administrators, coaches and the relationships that shaped my experience of school K-12. I understand how these kids feel and not only have I felt this way myself at one point but I have heard it echoed in students now. 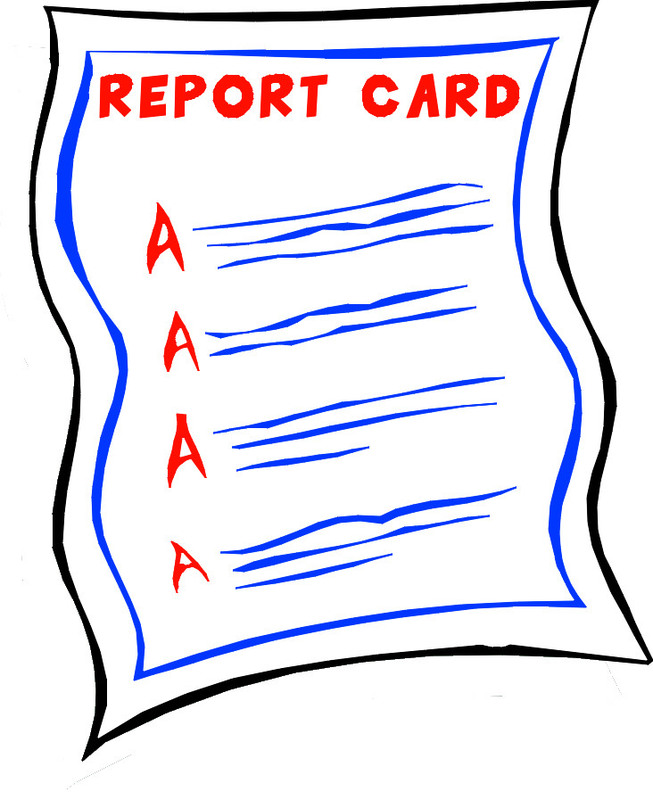 From as early as grade 4, I remember asking my mom, “What’s the point of these grades? Why are we learning this stuff?” The grades seemed so arbitrary to me, just letters subjectively chosen to represent all of my effort and creativity. I wanted to see evidence and reasons and I wanted to know what the point of it was. As I moved into high school I wanted someone to show me when and how I was going to use this information in “the real world”. I remember being told, “to just jump through the hoops” and “figure out what the teacher wants and give it to them”. Where’s the thinking in that? Where’s the freedom? Where’s the creativity? Where’s the learning? I still feel that much of school is like this and partly I feel that it is teachers (and professors) who are only willing to accept one type of thinking and work done in only one prescribed way so students have no choice but to follow the directions and adhere to this script. What I didn’t understand then, while I was busy questioning the point of learning algebra and trigonometry, or memorizing dates of historical events, was that I was learning skills and tools that would help me later in life. I was learning how to learn, I was learning to think and I was finding my voice. Now, as a teacher, I feel there is a more engaging and meaningful way of achieving the learning. I think it’s imperative that we get students to connect with the material on a more meaningful level rather than feel like they are just figuring out how to succeed in the “system”. Your comment above “figure out what the teacher wants and give it to them” resonates with me. As a Marketing teacher I am always trying to get my students to be creative and I try to provide freedom in all assignments. I recently gave my students an assignment to create a promotional video for a non-profit organization. The catch to the assignment is that they needed to write a story and tell it digitally. Out of 60 students assigned this project approximately 80% commented/asked in some way or another “just tell me what you are looking for” or “I don’t have a story to tell”. For the the students who have embraced the project, the stories they are telling are amazing, personal and inspiring to me as a teacher. They are telling stories of sexual abuse, bullying and depression, issues which are important and unfortunately relevant to them. My concern comes from the 80% who are struggling with the freedom of choice that comes with the assignment and the creativity needed to get started. As a new educator I have been told that students want choice in their assignments as it helps them take ownership of the material. However, my experience in my first 3 years is that students just want to know what they need to do to get a good mark. How do we generate more free thinking in students? How do we create interest in the process and not the product? It saddens me to see that no matter how hard I try to create individualized learning for students and try to”light the fire”, that currently the best form of motivation for some students is posting their marks on a bulletin board with a zero. It is my hope that the advent of technology in the classroom will provide the space for the creative process. I look forward to and embrace the technological change in the classroom, as I foresee it as a catalyst from product to process. Thanks Shawn for your comment, and thanks for continuing to push students to take greater ownership of their learning. What you describe are absolutely the skills our students will need – school has to be more than just being about what is on the test and getting a good mark. Like you, I hope technology helps the process – but the shift will require larger more fundamental changes in learning and schooling. Sarah – we can’t let another generation see school as jumping through hoops. I really like what you are doing and wanting to do – thanks! I remember grade 6 with Sister Catherine who helped us write one story a week in class. She then had us place them in a sealed envelope and told us to put them away for 10 years in the back of our closets. She told us that this would be our ultimate graduation gift from post-secondary. I’ll always remember being 22 and reading what I had written as a 12 year old (actually got teary eyed). Contrast this to writing Lit 12 essays during first block in my History 12 class and then being welcomed by my English teacher as one of the outstanding members of the “ignorami.” I still laugh over the memory of Alan Charlton (the teacher) berating me (in a supportive Catholic school kind of way of course). However, what strikes me in both examples is that I was engaged as a 12 year old, connected to the writing, and as an 18 year old, connected to a mentor who has become a life long friend. Our challenge now, as educators, is not to ease our students into knowing something they don’t know but in challenging them to notice in ways they might not have noticed: provide them with a promise wrapped in an exciting possibility! Absolutely – it is go time!